In preparation for the closed beta of the first true cross-platform sandbox MMORPG Albion Online this November, developer Sandbox Interactive continues to bring good news to the fans of the Albion Universe – one of the most unique features, Albion’s system of Private Islands, receives a highly anticipated ‘upgrade’. After listening to community requests to expand upon the idea, the developers decided to improve the player experience by introducing different island levels with additional building and farming plots, as well as a broader variety of decorative options so that players can customize the environment. 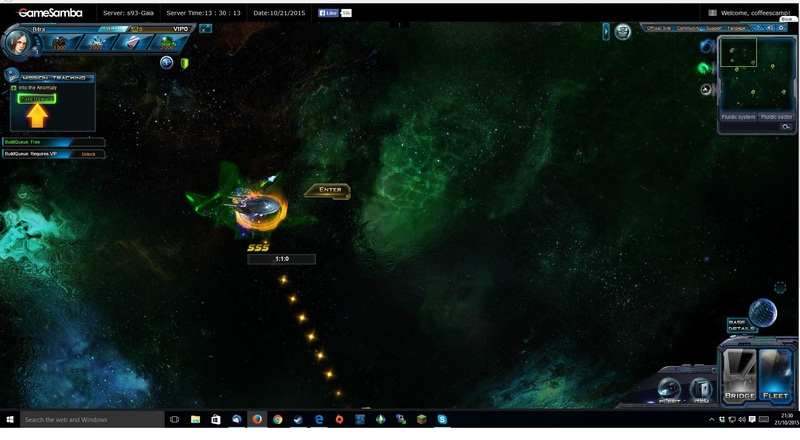 September 24th, 2015 | Tags: Albion Online, cities, Closed Beta, customisation, Laborers, MMORPG, Private Islands, sandbox, Sandbox Interactive, Silver, Upgradable Islands, upgrade. Duskers’ developers, Misfits Attic, have been listening to the community and have now updated the game with a variety of upgrades and fixes. September 4th, 2015 | Tags: community, drones, Duskers, feedback, fixes, horror, Misfits Attic, radiation, survival, update, upgrade, upgrade breaking, vents. 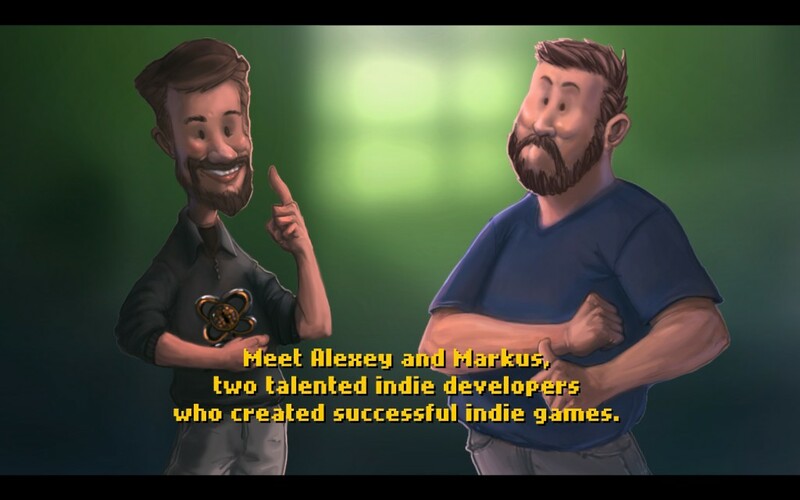 The adventure mode is called The Underground Rescue, and it starts with the story of Indie Game Devs in Trouble. A pair of indie developers have been working on a secret project which their fans have been anticipating just a little too much.. they decide they don’t want to wait any more.. The devs are kidnapped and held hostage with instructions to complete their game overnight.. however, their secret project isn’t a game but a little robot, the Tetrobot, which is sitting de-activated in their office. To help them, you need to get him up and running! 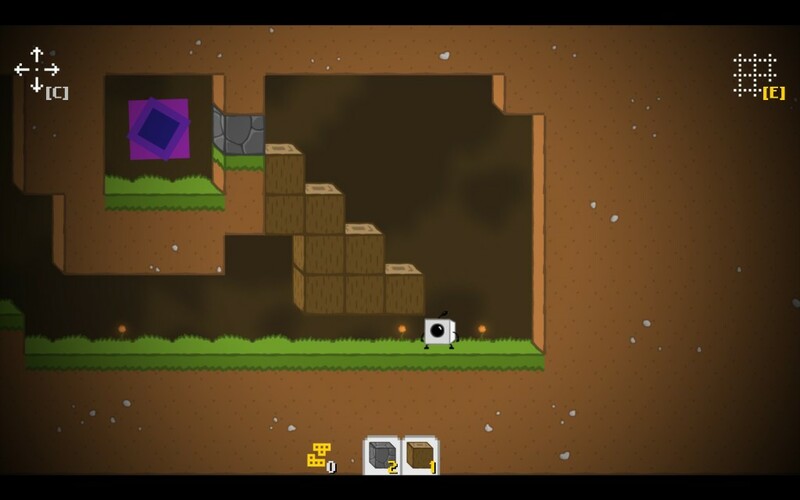 In the first level, you are only able to collect blocks by bashing into them with your head. Once you have collected four blocks, the first upgrade station unlocks; going into it awards you the first upgrade.. the drill! The drill allows collection of more blocks.. sand, wood and stone at this point, more types to come in later levels. 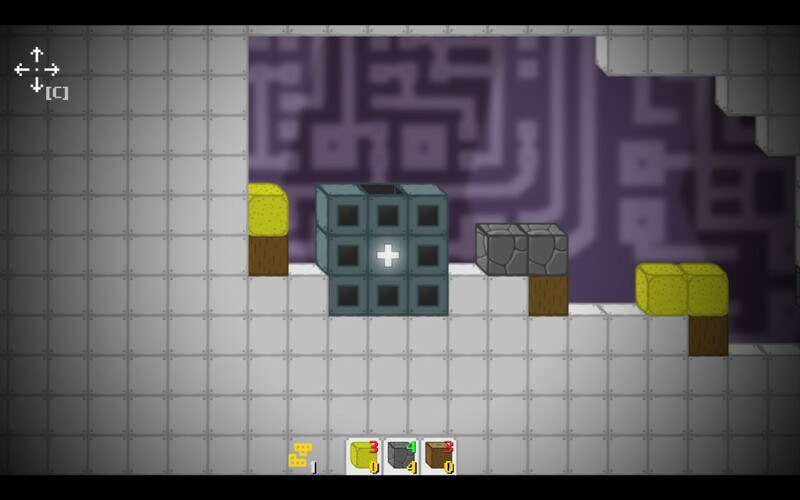 Your next upgrade teaches you to combine your blocks into Tetrominos, Tetris-blocks which you use to help you jump up to other parts of the map to gather other blocks, reach more upgrade points, or get to the exit portal. Each portal moves you a little bit closer to the devs! 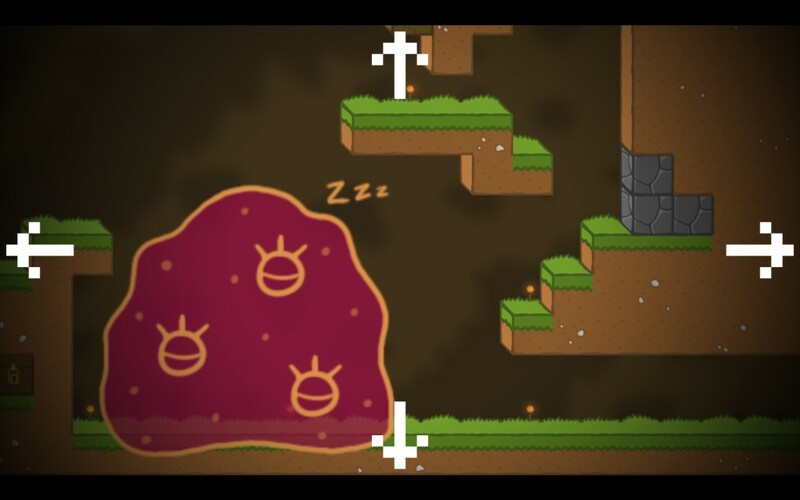 There are also a few enemies.. slimes! The small ones can be jumped easily.. contact with them more than once will result in them triggering your nanoreset, and you start the level again. You can trigger this yourself if stuck by holding down the W key: the first time you do this you get an achievement: Someone did it wrong! Sand falls if there is nothing supporting it, so if you drill out the block underneath it, or explode a row of eight blocks, and the sand will fall onto whatever is underneath. This can be used to kill slimes, to provide a step to climb on, or used in the construction of a tetromino where you don’t want all four blocks to stay put.. all depending on the puzzle you’re trying to solve. I can see the game getting frustrating later, as any mistakes are punished with the need to nanoreset, and return to the start of the level. I found myself stuck after only a few levels, though.. I think I’ll come back to this after the main game! While checking over the game’s website, I saw that Swing Swing Submarine have another game in the works: Seasons After Fall. 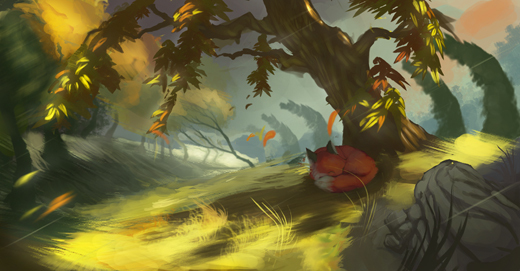 I actually noticed this game thanks to the early artwork, featuring a cute little fox sleeping under a tree.. Seasons After Fall will be more of a discovery-based puzzle game where you explore the countryside taking advantage of the changing seasons. It looks as though this was meant to be out in 2011, but they now say it will be done when it’s done.. which at least means they’re concentrating on getting a properly working product together, rather than shipping something out full of bugs.. plus points to them! 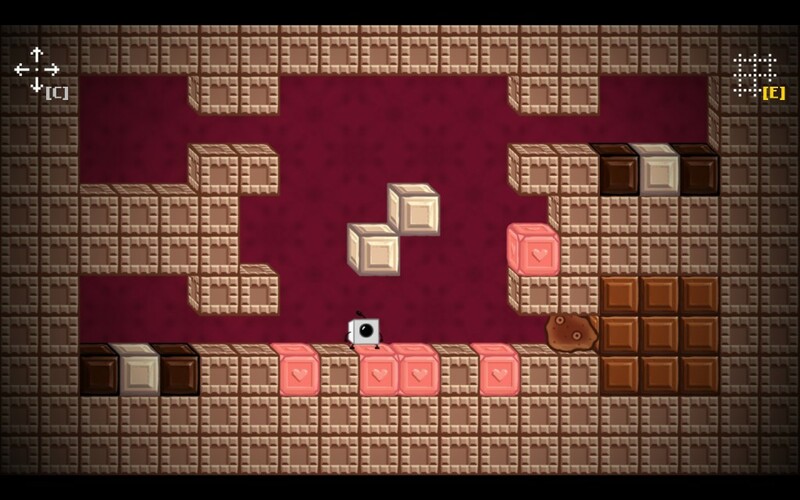 November 5th, 2011 | Tags: achievement, blocks, Blocks That Matter, bonus levels, Chocolate update, cute, discovery-based puzzle, Djaoul, drill, fox, Humble Bundle, nanoreset, platform, puzzle, robot, Seasons After Fall, Someone did it wrong, Swing Swing Submarine, Tetris, Tetrobot, Tetrominos, upgrade.